Passing the CFA exam involves huge learning efforts from your side. This is best shown by the fact that in the last ten years only 43 percent of all candidates passed the Level I examination. * Nevertheless, we are proud that the pass rate of last year's candidates from the University of Liechtenstein came out at 67 percent. Before I go into detail of how exactly I passed the exam, I would like to give you a short introduction about how it all started. During my studies at the University of Liechtenstein, I came in touch with the CFA Society Liechtenstein through one of the so-called after-work lectures which are organised on a regular basis by the chair of finance. This sparked my interest in the CFA charter, as it stands for professionalism, and a rigorous study programme with strong ethical foundations. I am convinced that passing the CFA exams enables a dedicated finance professional to gain a competitive advantage for their respective future career path. Henceforth, in my second semester I took the decision to sign up for the CFA Level I exam. Whereas the preparation necessary to successfully complete the exam is very time consuming (the CFA institute states that about 300 hours of studying are required for each level), the experience and future benefits are very much worth the dedication in my opinion. Obtaining the CFA charter is very valuable for individuals aiming at a career in asset management or investment research, but its value extends to finance-careers in general. 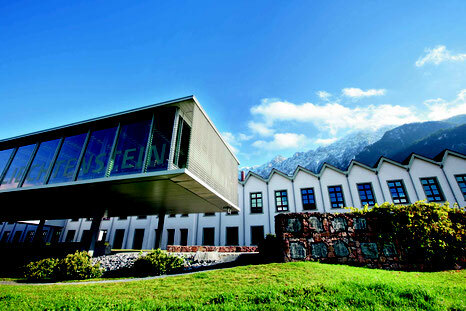 Furthermore, the CFA Society Liechtenstein supports students at the University of Liechtenstein, offering scholarships and encouraging them to take the exams. (I) Make a schedule and study plan with blocked time intervals that are specifically dedicated to studying for the CFA exam. (II) After every chapter, do some related practice questions and try to summarize the content on one page. (III) Focus on doing a lot of practice questions and mock exams. (IV) If you can find a fellow CFA candidate so that you can practice together. In conclusion, I can thoroughly recommend the pursuit of the CFA charter for current and future financial professionals. Earning the charter proofs the perseverance to sit through three hard exams as well as a high degree of acquired finance knowledge. Moreover, the vast network among CFA charterholders is an opportunity to advance one's career trajectory.